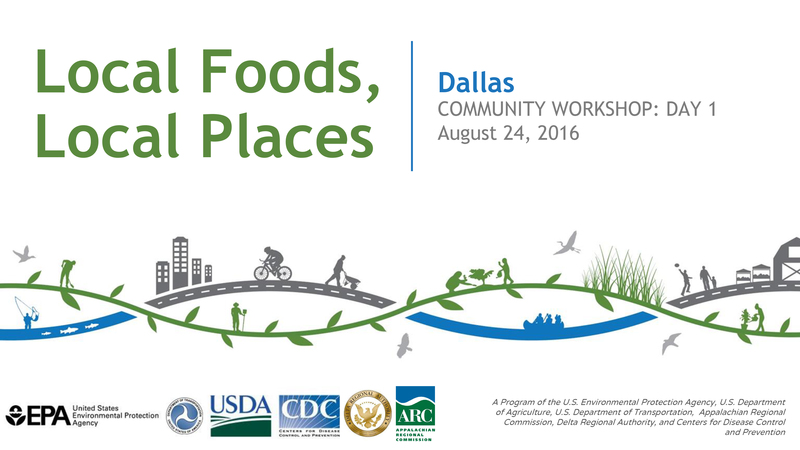 Dallas is one of 27 cities selected in 2016 to receive a technical assistance grant for the Local Foods, Local Places (LFLP) program. Local Foods, Local Places is a partnership between the USDA, EPA, U.S. Department of Transportation (DOT), the Appalachian Regional Commission (ARC), the Delta Regional Authority (DRA), and the Centers for Disease Control and Prevention (CDC). This grant does not give any funds to the City, but rather provides a team to help guide the creation of a local, sustainable, food system. Dallas, Texas, will receive technical assistance to form a local food branding campaign and an alliance of garden and farm enthusiasts to build public awareness, community cohesion, and relationships between growers and local businesses and help community gardens share expertise and increase the size and variety of their yields. Expand access to and education of affordable food for all. 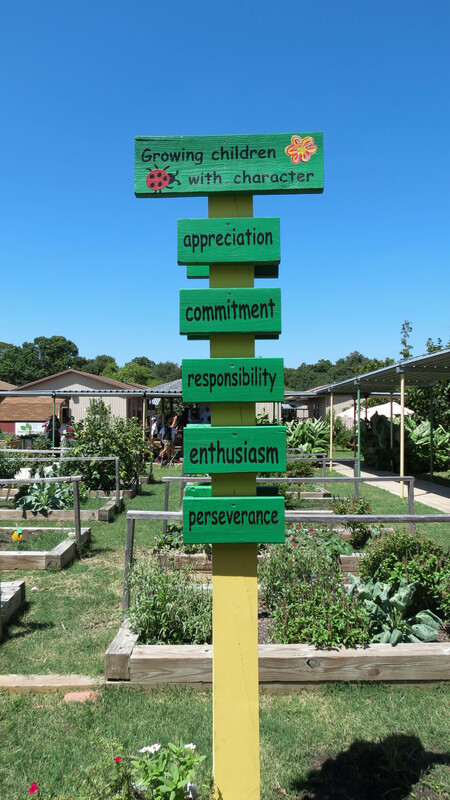 Create places that successfully support food production and education. 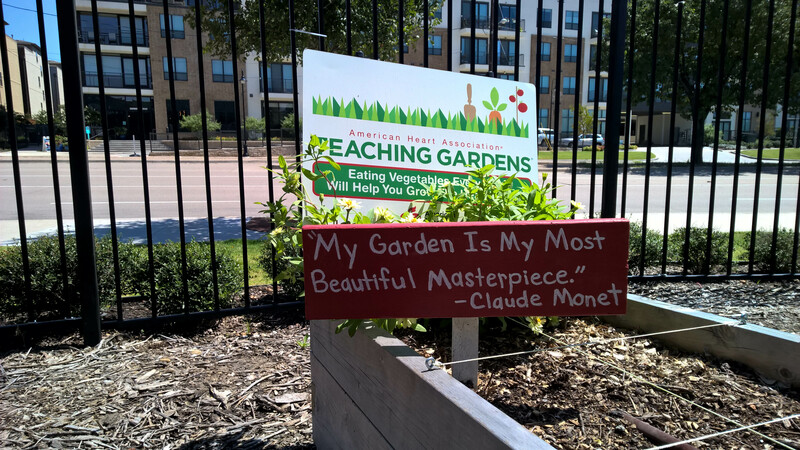 Create a culturally relevant communication/marketing strategy for better connecting Dallas residents with local food. Strengthen the local food network in Dallas by increasing food independence with opportunities for locals to harness community resources and start local businesses. Create a Food Policy Committee comprising local residents to build awareness of local food initiatives. This workshop helped to build the framework for a local food action plan. The process is ongoing, and we will continue to work with community members and stakeholders to determine the best approach to build a robust food network in Dallas. The community’s vision encompasses many elements. Among these is to be a place where local food is more readily available to all residents; to better connect people and organizations working to improve the local food ecosystem in Dallas; to eradicate food deserts throughout the community (particularly in those areas with lower income populations); and to create a sustainable food policy advocacy group to ensure the regulatory framework in Dallas continues to support the growing local food economy in the city. Sign up for email communications on the Local Foods, Local Places program (and any other topics you may be interested in). Contact us if your organization has an upcoming community meeting regarding food. We will be sending out information on upcoming events and meetings that tie into the local food system in order to create opportunities to network and share resources. Help us identify assets in Dallas. This is a mapping tool designed to connect people throughout the local food system. 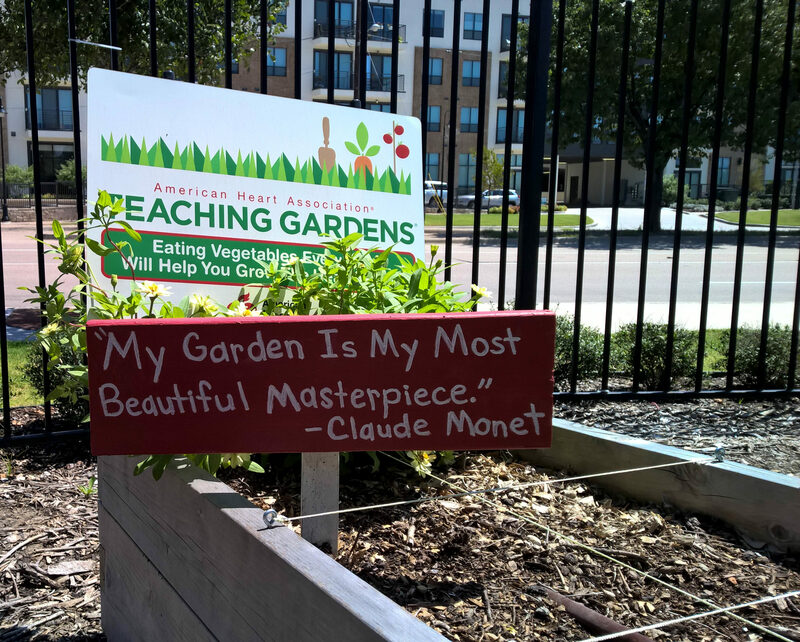 Through this platform, you can participate in the LFLP planning initiative for Dallas by helping to map 1) existing assets throughout the city and region, 2) district-scale opportunities for community revitalization, and 3) access routes through your district and to the places where you access local food. Visit our growing network to identify folks around you who can help you with your food production questions. Please email us any thoughts or suggestions you may have for how we can strengthen Dallas through food production at GreenDallas@dallascityhall.com.